Back in the day, a family was sittin’ pretty if they had a “rec room”, the vernacular for a basement recreation room. That simply meant your basement wasn’t a dark and dank hole that contained the washer and dryer, furnace and hot water tank, but was finished enough that you could entertain down there. Perhaps Mom and Dad hosted their New Year’s Eve party in the rec room with those uncomfortable plastic chairs and a few folding tables on which to plop bowls of munchies and adult beverages. Basement living has certainly evolved big-time since those days. Now a basement can have walls partitioning off the furnace room, laundry room and the pantry to create individual rooms for hobbies or even living arrangements. But, given the fact that the basement is below ground level, there has always been an issue of low light or minimal light in the basement. Fluorescent lights in the basement work well, but once you start divvying up the rooms for new purposes, you must realize that lights will need to be varied and strategically placed in each room. This is a big task and one that should really be tackled by a certified electrician. Whether your basement is destined to become an exercise room, media room, man cave, or the new living quarters for your parents who downsized from their home to an apartment and were unhappy, you must come up with a lighting plan for general lighting, ambiance lighting and task lighting as necessary. Consulting with a skilled certified electrician will help you to decide what lighting options are best for your basement going forward. 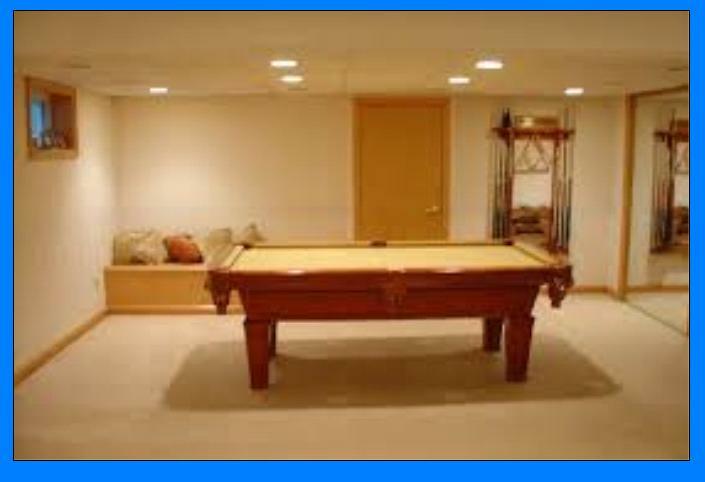 Some suggestions on lighting trends for the basement are listed below. Track lighting is the very best option for the basement. It could be considered a DIY project for several reasons: 1) it is easy to install; 2) it doesn’t take up alot of floor or wall space, and 3) it is versatile. You can set up the track lighting for general lighting purposes or as accent or ambient lighting. The bonus of a track lighting system is that no matter how many times you re-arrange the furniture, you need only make minor adjustments to adjust where the stream of light will be trained. Track lighting, using halogen bulbs, features a strong beam of light focused solely on the area where it will have the most impact. The track-mounted halogen spotlights provide bright white lights, which are superb as task lights, especially during the daylight hours when natural light streams into the room. The spotlights can be focused to task areas to provide illumination solely where it is needed, spotlighting the tasks where attention to color and detail is needed. Halogen track lighting is very beneficial to creative folks, like artists or crafters. 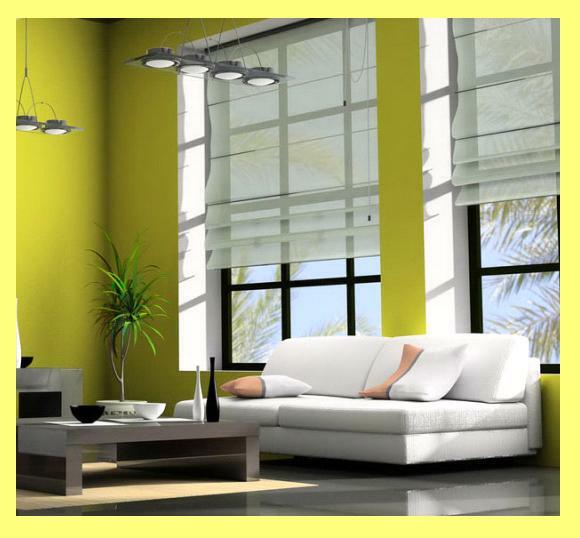 If you feel the need for additional light in the room, simply “layer up” more light by using floor or table lamps. Recessed light panels which are those popular, large, horizontal fluorescent fixtures built into suspended ceilings. Most people are familiar with this type of fixture from the workplace, school room and perhaps even your own basement. They provide more than adequate lighting and smaller versions may also be used to illuminate display cases or to provide additional layers of light in the basement. Recessed can lighting works especially well in an already-finished basement with a suspended ceiling. Can lighting will provide bright light focused to any area you choose, and, is also a favorite of game room aficionados. This style of lighting works well for the arts and crafts set because the bright lights without shadows or glare just cannot be beat. A similar, but down-sized version of recessed can lighting, known as recessed miniature can lights, is nearly as powerful as its big brother in that a series of miniaturized lights can highlight such areas as a bar, or a game table as it can give a wonderful ambient glow and enhanced view of all items you wish to highlight. Pendant lighting is becoming as popular in the basement as upstairs these days. Whether there are a row of pendant lights or just one shedding light onto a table or desk, pendant lights provide both general lighting and task lighting as well. In more-modern, high-ceilinged basements, they can be utilized with a pulley to position the light closer for tasks or raised higher so it is not bumping anyone’s head, and safely out of the way thus preventing damage to the pendant light. As to style and finish, pendant lights cannot be beat, whether you are striving for a modern and trendy gleaming fixture, an ornate or rustic lighting system, or even a nostalgic vintage look – all will mesh perfectly with your room. Uplighting is used to create ambience by redirecting light toward a ceiling rather than having it slice horizontally through a room or down to the floor. A bonus of this type of accent lighting is that you have illumination, sans shadows or glare. Uplighting is the principle behind a sconce or torchiere, the latter being a portable and instant light source. These are the most-trending lights available for your basement today. A consultation with a certified electrician can assist you in determining the very best bright ideas to light up your home, be it a single fixture to the many levels of lighting options to layer in light efficiently.